Facebook, Twitter, Instagram, Youtube, Pinterest, LinkedIn and Authority Blogs! You're leaving a LOT of money on the table! There are more than 3.4 Billion Internet users worldwide - 2.3 Billion of them are on social media! Because I am about to show you how you can instantly 'modernize' your business and give it the presence it deserves. 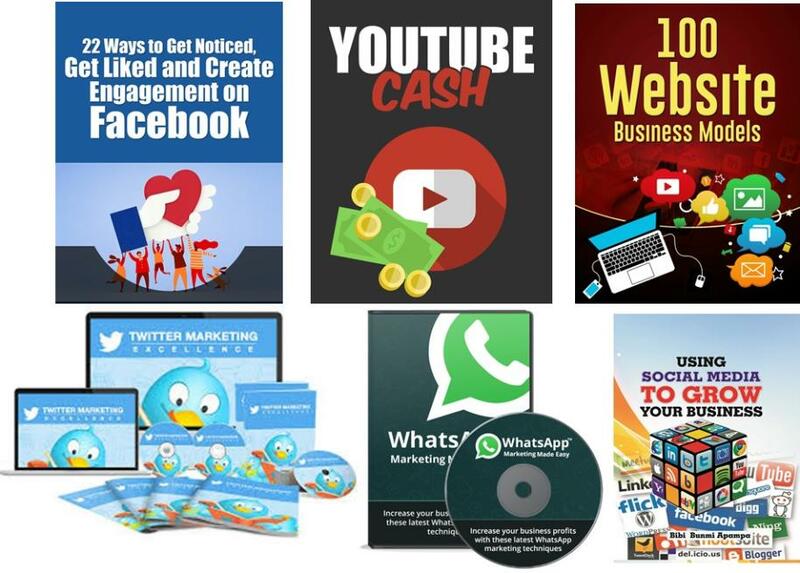 I'm going to show you how to turn your social media accounts into an instant ATM! This isn't some 'theoretical' stuff - it's backed by ten of thousands of dollars and countless hours spent cracking the code. And unlike most courses out there that cover just 1 method or 1 social media platform... This Mega Training Program Covers 5! For Many reasons, Social Media Income Stands On Its Own Merits. My desire is to make this as multimedia training as affordable as possible so everyone can discover the mastery of social media to grow their business. We are surrounded by abundance of opportunities - which is growing day by day... But they remain undertapped or under-utilized. I hope, this will challenge and change the way you do business. Act Now - Click On The Order Button Below To Get Instant Online Access for just $20 - N7'500 so you can start using Social Media to grow your business and make more money.